Here are the top headlines from the Overland, Off Road, Photography, and Outdoor Industries for June 2017. 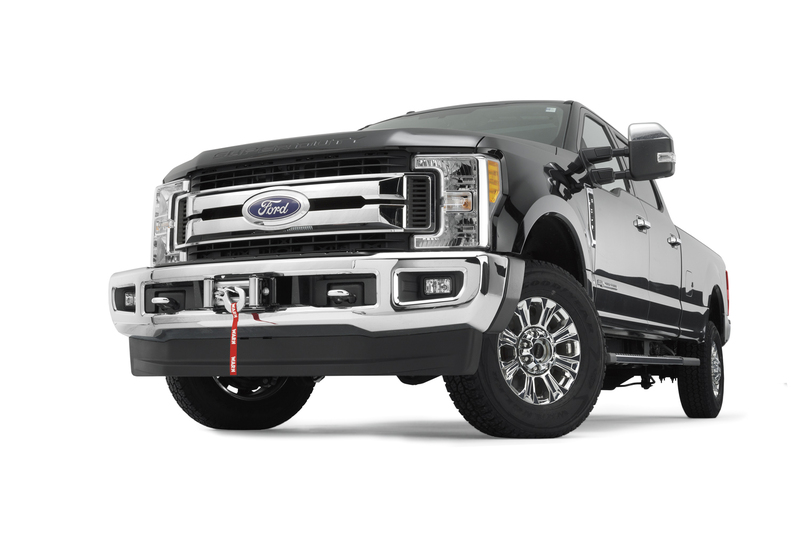 The Super Duty Hidden Kit retains the factory front bumper, even with the winch installed. The mount will accommodate WARN Heavy Weight Winches (M12/M12-S, M15/M15-S, 16.5ti/16.5ti-S), and is moved outwards only eight inches. Any gaps are filled in with a Skirting Kit (sold separately), and the winch's controls are accessed from the top of the bumper. The kit also maintains the truck's factory tow hooks. All WARN mounting systems are designed, engineered, and tested for maximum performance and to ensure proper frame tie-in and deflection against the stresses of vehicle recovery. Plus, this mounting system is made in the USA. In November of 2016, Wigwam established a new recycling center within our finishing department. Each month about 2,000 lbs. of socks that would have otherwise been destroyed and discarded are sorted, inspected, paired and re-paired. With 6,000 pair and counting already processed, we are taking steps to reduce our impact on the environment and warm the feet of people in need. This new program will push us towards our goal of becoming a zero landfill company, help to improve our manufacturing process and how we make our products. In the near future, Wigwam also has plans to work with Martex Fiber to recycle discarded yarn that doesn’t make it through the knitting process. This partnership will allow us to join Martex in their “No Fiber Left Behind” effort to eliminate textile waste. 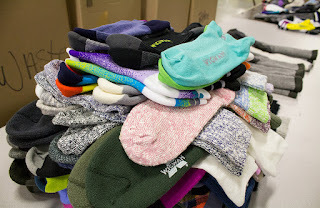 Beyond reducing waste and our impact on the environment, we are also able to provide much needed warmth to the feet of people in need. In our own local community, state and across the country, we will be able to better support charity and non-profit organizations in their efforts to help the less fortunate. It’s re-energized our approach to “why” we make socks and how we can continue to improve the lives of the people who use them. YETI®, a leading premium cooler and drinkware brand, introduces YETI Rambler Jugs as the latest addition to its family of stainless steel products. As part of YETI’s tried and true Rambler product line, Jugs allow users to conquer all of Mother Nature’s harshest conditions with confidence. Meant for bulk hydration and multiple servings, YETI Rambler Jugs are essential for long adventures far from refills. Constructed with 18/8 kitchen-grade stainless steel, YETI Rambler Jugs are puncture- and rust-resistant, and won’t retain odor. Double-wall vacuum insulation in the body and a full inch of insulation in the lid mean that your contents will remain as cold or as hot as possible until the very last drop. The innovative MagCap™ harnesses powerful magnets to keep the cap secured on the lid while pouring or sipping. A robust carrying handle makes for a comfortable haul to and from your destination, and the extra wide-mouth opening makes the Jug easy to load and clean. Available in both a half-gallon ($99.99) and one-gallon ($149.99) sizes, YETI Jugs are over-engineered to be virtually indestructible. YETI Rambler™ Jug Mounts ($39.99) will be sold separately in both half gallon and one gallon sizes. Crafted from polypropylene, Jug Mounts can be fastened to your work truck, ATV, boat or trailer to keep all of your contents secure while on the job. 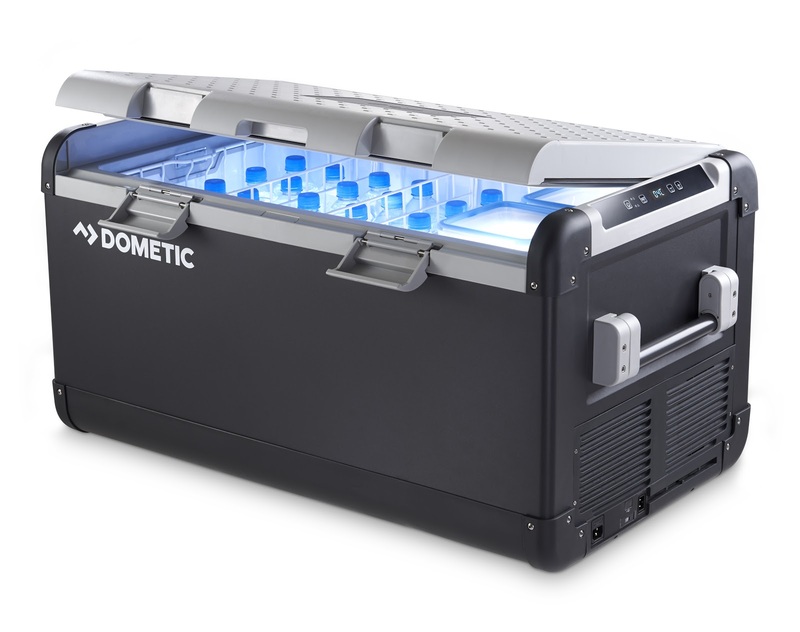 Dometic is launching a new model in the CFX Portable Refrigerator/Freezer line at Outdoor Retailer, the CFX-100W. Its high capacity single-zone cooling chamber is great for extended trips or large storage needs. Think twice about ice: Although it looks like a standard cooler, the CFX is an extremely powerful refrigerator/freezer, eliminating the need for ice. The award-winning CFX line is an innovative solution to keep food fresh and drinks cold while on the go. It's extremely rugged design comes fully equipped with heavy-duty stainless-steel hinges and strong latches, drop-down spring-loaded handles, removable baskets, and detachable reversible lids. Each product in the CFX line has the ability to utilize 12V, 24V, or 110V power and the corresponding cords are included. The units also feature a smart memory design, which maintains preset temperature even after power has been turned off.